Those outside of major U.S. cities and Japan might not be familiar with the concept of QR advertising. Quick Response (QR) displays are basically two dimensional bar codes that can be read with special scanners, Smartphones, and ordinary cell phones that include cameras. These have been around since 1994, but they haven’t exactly caught fire the States. American retailers seemed skeptical of their utility at first, which isn’t surprising considering how much this platform differs from traditional campaigns. However, the increasing popularity of Smartphones has many companies reassessing the value of this technology in terms of mobile marketing. QR codes aren’t much to look at; they’re hardly on par with the eye catching ads consumers are used to seeing on billboards. Nevertheless, they store far more data than regular displays and contain the vital interactive component that PDA users thrive on. People that are constantly on the go are less likely to pay attention to a static poster or even a flashing commercial. These types of consumers usually ignore fliers and promptly dump them in the trash can. They’re typically zeroed in on some type of portable device, whether it’s an iPhone, Droid, or an iPad. Nothing pulls them away from that small screen, so it’s best to adapt the model to suit their behavior. These customers are definitely worth targeting because they tend to be young professionals that have higher amounts of disposable income. Numerous companies integrated QR codes into their Black Friday promotions, including electronics giant Best Buy. Even some small businesses are jumping on the bandwagon because this medium affords them an inexpensive way to offer exclusive deals or promote their websites. The versatility of the interface is attractive as well, since customers can access QR generated content as they browse inside the store. Of course, QR content doesn’t have to be sales driven. Companies interested in long term branding efforts might choose to provide non-monetary incentives, such as entertaining videos or free music downloads. This technology is still in its infancy stages, but experts agree that its potential is virtually limitless. Currently, Smartphone users account for roughly 20-30% of the population, so they are a kind of niche market. Nevertheless, QR ads are up a whopping 700% since the beginning of 2010. This means that QRs are no longer the wave of the future; within the next couple of years, they will likely be an industry standard. Every online advertiser is familiar with a usual metrics, such as click through rates. These industry standards usually measure how many people viewed or clicked on creatives, but they stop short of calculating whether or not the user passed along the content. The very principle of social networking relies on the human need to share things, from personal feelings to amusing ads or interesting articles. Most marketers know that people are more likely to view and absorb content that’s suggested to them by their peers because of the trust factor. Consumers believe that their friends understand their personal tastes and values, which turns ordinary content into a kind of premium service. Simply stated, they assume that they’ll like whatever a friend tells them to read or watch. Conversely, sharing has a bonding component built around expectations on behalf of both parties. When person A sends person B a YouTube video, he or she awaits the other person’s reactions, opinions, and reciprocal communications. No one sends a digital message thinking that it’s going to fall on deaf ears or eyes, as the case may be. Sharing is designed to generate fodder for future discussions. For these reasons, author and Forbes.com guest contributor Dan Greenberg recommends analyzing the basis for sharing behavior and using these insights to guide advertising campaigns. For example, he states that consumers share to establish identity. Contemporary branding efforts are tied to notions of the self concept and the need to project a public image. Basically, when people post music videos on their friends’ Facebook pages, they are trying to send a message that transcends the song itself. They’re trying to convey a connection between the artist or composition and their individual character. It’s also possible that they’re attempting to relay an emotion through mutual experience. More often than not, their motivation involves a little bit of both. In order to capitalize on this knowledge, Greenberg advises targeting the consumer’s viewers. It’s one thing to capture the attention of a social butterfly, the kind of person that will repost almost anything. The key is to impress the person twice removed from the initial action. This sounds like a tall order, but kudos to Greenberg for his innovative approach. He’s definitely onto something, although he’s probably a bit ahead of his time. Last year Congress enacted a law granting the Food and Drug Administration unprecedented authority to regulate tobacco products. The initiative, supported by President Obama, went largely unnoticed by the general population until this past week. When the FDA unveiled the shocking images that will start appearing on cigarette packs next year, everyone suddenly had an opinion on the matter. Supporters claim that the pictures will reinvigorate the government’s sluggish anti-smoking efforts. Research indicates that the nation’s smoking population is on the rise, especially with respect to teenagers. The images are supposed to create a deterrent effect on kids and adults by visually displaying the negative health risks associated with smoking. The statistical evidence behind this rational isn’t necessarily solid, although data shows that pictures illicit a fairly strong emotional reaction in teens. Consequently, the ads are probably more related to youth anti-smoking campaigns than anything else. Proponents argue that other countries, including several European nations as well as Canada, enjoyed considerable success with even nastier images. In fact, some believe that the FDA’s selections aren’t nearly harsh enough. Opponents naturally question the effectiveness and motives behind these new policies. They believe that the pictures will not significantly change people’s behavior and only serve to demonize roughly 20% of Americans. They question why the government is singling out the tobacco industry when other harmful products, such as alcohol and fatty foods, are getting a free pass. Furthermore, nsightly ads may harm retailers that sell cigarettes along with other items or simply force them to drop pre-packaged smokes from their inventories. Neither of these scenarios sound attractive in the midst of a struggling economy. Interestingly enough, the FDA has no plans to date to impose similar requirements on equally harmful tobacco products i.e. cigars and chewing tobacco. The big tobacco companies are obviously among the naysayers. Rumor has it they might come up with some creative packing that obscures the unsightly graphics. Another possibility is that cigarette cases might make a comeback. These haven’t been popular since the 1950’s, though. Menthols aren’t subject to the regulations, so smokers may migrate to this alternative instead. There’s no telling what the future holds, but this debate illustrates the unmistakable power of contemporary advertising. Lately it seems as though everyone’s hoping on the green movement bandwagon or making a considerable effort at faking eco-consciousness. Supermarkets and department stores are stocked with products that claim to be environmentally friendly as advertisers compete for the other kind of green—consumer cash. But the latest sales figures reveal a fickle and often skeptical public growing cold on last year’s red hot niche. Naturally, there are still the faithful few who refuse to buy products that pollute. These people will always engage in conspicuous consumption; the rest of the population simply isn’t committed enough to adopting a low impact lifestyle. The data shows that while most shoppers do prefer green products, they aren’t willing to pay more for them, tolerate inferior alternatives, or blindly accept marketing claims. Even bottled water is making a comeback, which highlights consumers’ real priorities. Essentially, they value convenience over preserving the planet for future generations. This may strike some as a bad blow to a once thriving industry, but this analysis overlooks several pertinent factors. For starters, people are still tightening their belts because of the financial situation. As the economy improves, advertisers will likely see higher levels of enthusiasm return. Additionally, the green boom inspired a host of misleading and disingenuous advertising. These unethical practices brought short term gains, but dishonest campaigns don’t have staying power for obvious reasons. Consumers don’t appreciate being manipulated and they usually react by closing their wallets. In a way, the green movement’s loss of momentum might be a positive occurrence because sagging sales will weed out the bad apples. Those only interested in huge profits are going to move on to the next cash cow, leaving the truly green merchants to compete for market share. Eventually, consumer confidence will return as companies establish themselves as reliable, eco-friendly brands. Marketers can take away some important lessons from the decline and fall of the eco-craze. Consumers clearly don’t care that much about reducing their carbon footprints per say as an abstract principle. They aren’t entirely apathetic, but they won’t go out of their way to make green choices. Consequently, advertisers shouldn’t rely solely on this selling point. For items to sell well, they have to be affordable as well as aesthetically pleasing; consumers see the green factor as secondary at best. Furthermore, younger demographic groups (millennials)are the target market for green products. Adjust your strategy accordingly. 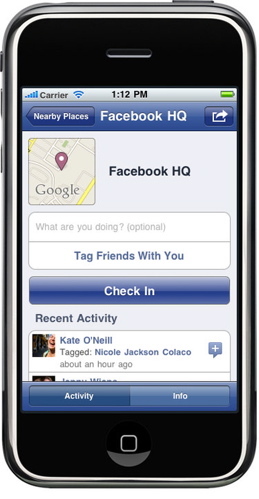 A recent Pew Study found that a mere 4% of internet users utilize location based services, such as Foursquare. While this surprisingly low figure has many e-marketers scratching their heads, we suggest taking a step back before rushing into panic mode. Remember, the internet is a dynamic medium and it’s fairly difficult to gauge emerging trends from these types of statistics. For instance, previous studies indicate that Smartphone users are more likely to search for all things local, but they represent the minority in of terms of global consumers. Basically, this demographic dominates the local based niche. Yet these tech savvy trendsetters are in tune with the next phase of web development, so their behavior probably signifies a movement towards this type of platform; it’s just going to take a while for everyone else to catch up. Still have your doubts? Consider the following: Facebook plans on allowing advertisers to offer coupons and other deals via Facebook places, which is their location based mobile app. Companies will be able to provide one time only incentives, rewards for loyal customers, and create a kind of referral program to thank those who bring in additional patrons. There’s a fourth option that’s built around charitable donations, which are the bread and butter of a positive PR branding campaign. Facebook’s currently partnering with large multinational corporations, such as the Gap, on this project; however, this could be a useful tool for mom and pop shops trying to monetize their web traffic. This resource may prove incredibly valuable to the brick and mortar set because there’s no overhead cost involved! That’s right, running the mobile ads is free, just like managing a profile page. Plus, paperless marketing means going green in a big way while saving you money on printing costs. Facebook’s Places debuted to mixed reviews due to privacy concerns, and this program gives the reluctant a good reason to take the plunge. The company has demonstrated a fairly decent grasp of consumer tastes, and their investment in this technology probably indicates that local based services will see a rapid increase in popularity. Some nay sayers are predicting failure on this venture. But they’re probably the same people that predicted a mass exodus from the social networking site a few months ago. Marketing anything directly towards children is a controversial, yet effective business practice. Kids don’t have their own money, but they have considerable influence over their parents’ spending habits. This may have annoying consequences, but consumer advocates claim that this issue creates deeper problems than mere temper tantrums. They feel that the real trouble begins when advertisers start pushing potentially harmful products to kids, such as unhealthy foods. Fast food companies in particular are notorious for engaging in these questionable tactics. Almost every fast food restaurant offers some kind of special menu option for children, which typically includes a promotional toy. Watch dogs believe that the toys lure children in so that companies can profit from fed up parents, which in turn contributes to the growing childhood obesity epidemic. This effect disproportionately impacts those in the lower income brackets. In an effort to promote healthy eating habits, the city of San Francisco recently outlawed toys that come along with meals that are high in fat and/or sugar. Under the new law, restaurants must serve nutritious alternatives, such as fruits and vegetables, if they want to throw a toy into the mix. Meals with toys cannot exceed a calorie limit of 600 with no more than 35% of them coming from fat; a cheeseburger Happy Meal with small fries and a small Sprite contains 640 calories, 37% of which are from fat. San Francisco isn’t the first city to enact this type of ban and members of the fast food industry believe they’re being targeted unfairly. Lots of fast food establishments already provide healthy options, including fruit juice, milk, apple slices, and apple sauce. They argue that concerned parents should substitute these items instead of the usual fries and soda. This response underscores the heart of this matter, which revolves around parental responsibility. Kids are always going to beg for things they shouldn’t have, and it’s the parents’ job to set boundaries. Happy Meals are aimed at young children, usually between the ages of 3-11. Children that fall in this age group do not understand the importance of maintaining a balanced diet, and sometimes parents need to force them to do things that are in their best interest. Social networking site Twitter has been running promoted tweets for a while now. These are very similar to the format of Google’s sponsored links on their search results pages in that advertisers pay for places among the scarce available space. Twitter’s platform produces results, but the site decided to step things up a notch via keyword targeting. Internet marketers are already familiar with the benefits of running highly targeted ads as opposed to random content. After all, it makes a lot more sense to show people ads for products and services that they’ve already expressed an interest in. Twitters new platform combs users’ tweets in search of specific keywords, and then use that information to incorporate tailored tweets onto the timelines on their profile pages. 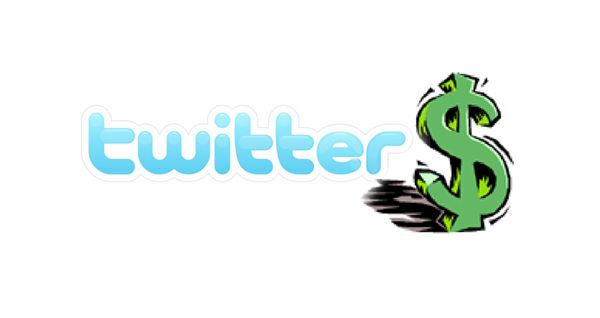 The paid tweets are easily recognizable because they are clearly marked so as to avoid confusion. The powers that be are taking a cautious approach; only those accessing the site through its third party partner, HootSuite, will be participating in this experiment. The company promises not to unleash the service on everyone unless the test subjects express their approval. The frequency of ad placement will vary by user as well. In other words, people who don’t post about trending topics won’t get bombarded with Justin Bieber tweets simply for discussing music in general. Kudos to Twitter for exploring marketing opportunities while keeping users actively involved in the process. Perhaps the Twitter team learned from the mistakes of its chief competitor, Facebook. Social media is supposed to foster community interaction, so their business models should reflect this principle. Introducing ads into this type of environment is always tricky, but people should appreciate Twitter’s focus on usability. Still, Twitter’s aiming this service directly at the big guys, such as Starbucks, Red Bull, and Best Buy. No one knows exactly how much the streamline tweets cost, although rumors indicate that they’re around $100,000 apiece. Since Twitter sees itself as a mobile platform, developing an affordable, local alternative for small businesses would be the next logical step.